Many thanks to Benni for hosting this week. A fun theme....literally!! LOL. As soon as I saw the theme I thought of all the fun to be had in Florida, so all my shots are from my last visit there. 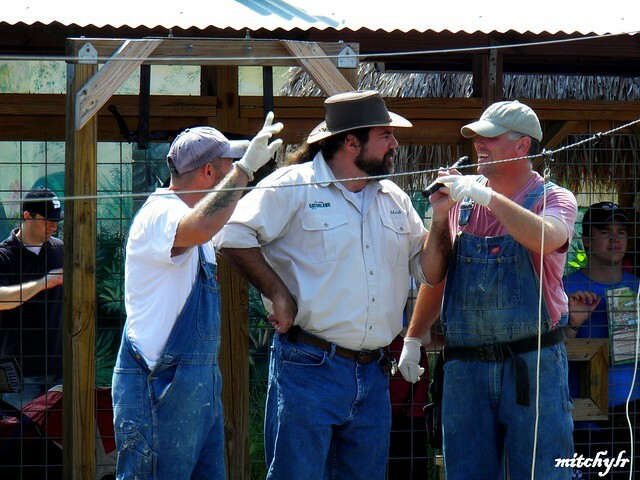 1) These 'rednecks' where having fun annoying the keeper (middle) at Gatorland. 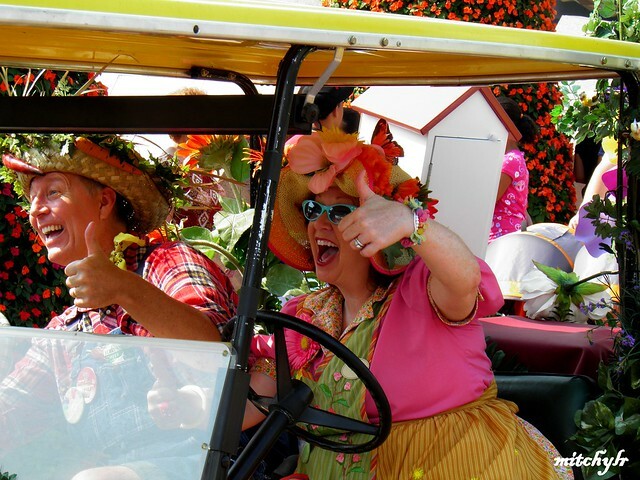 2) These goofy gardeners were driving around Epcot, having lots of fun with the tourists. 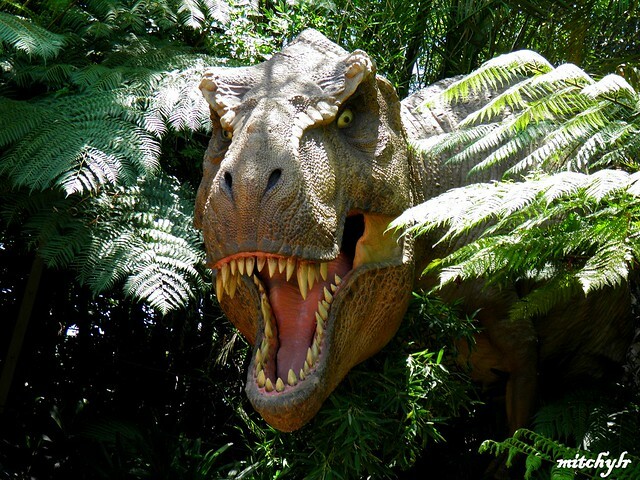 3) What's more fun that being chased by a T.Rex at 'Islands Of Adventure'? 4) These 'extras' got more than they bargained for when they volunteered to take part in a WW2 scene at Hollywood Studios!! "Come on, luv, give us a snog!" Hi Mitch! I'm wordless.... awesome shots, that's all my vocabulary enables me to comment your shots. 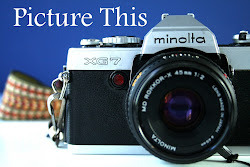 Great shots, Mitch. The keeper at Gatorland is being a good sport. Very colorful gardeners and a very scary T. Rex! 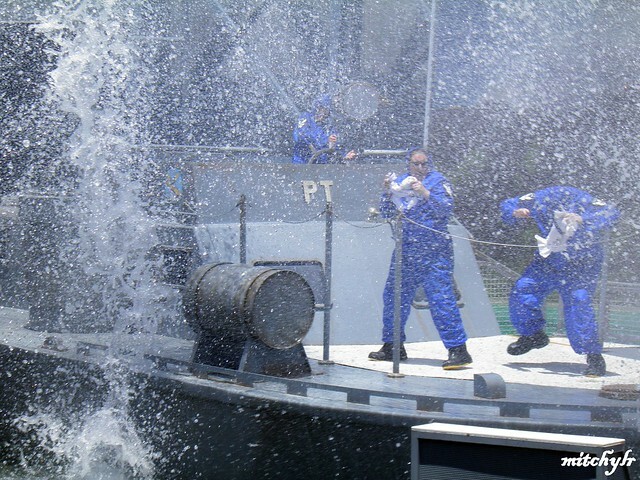 Love the water effects in the last shot.